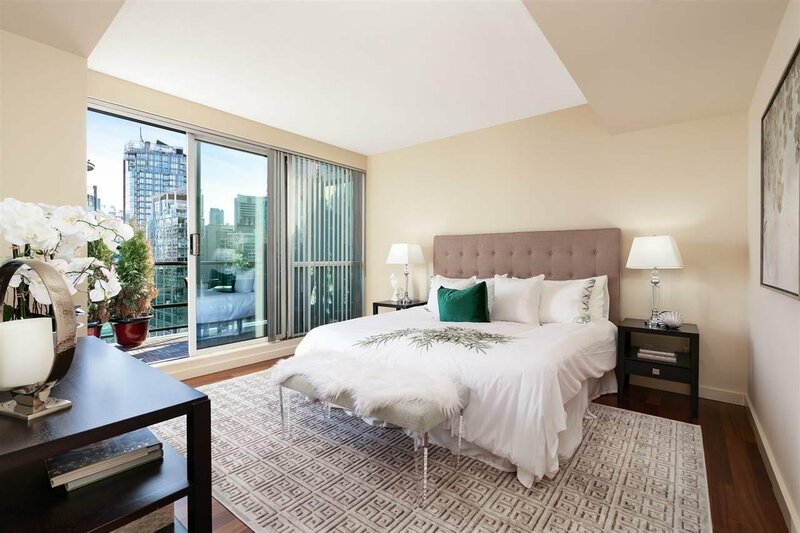 2502 588 Broughton Street, Vancouver - 2 beds, 2 baths - For Sale | Nas Abadi - Nu Stream Realty Inc. 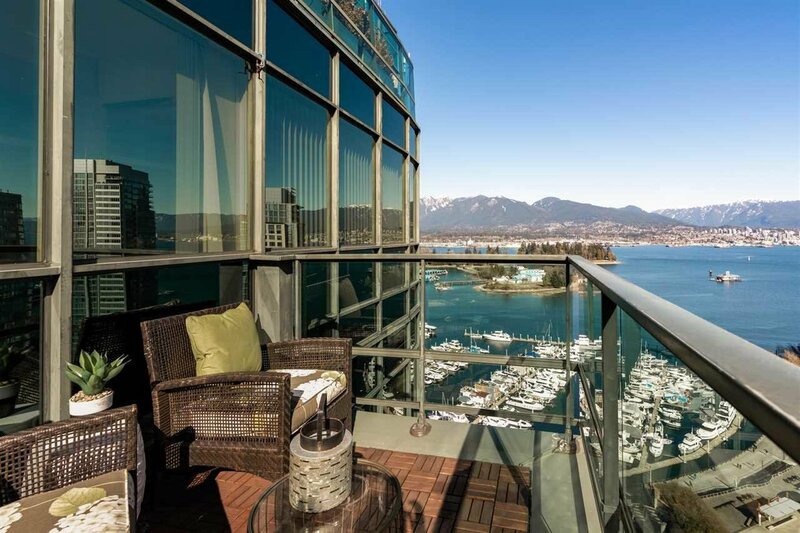 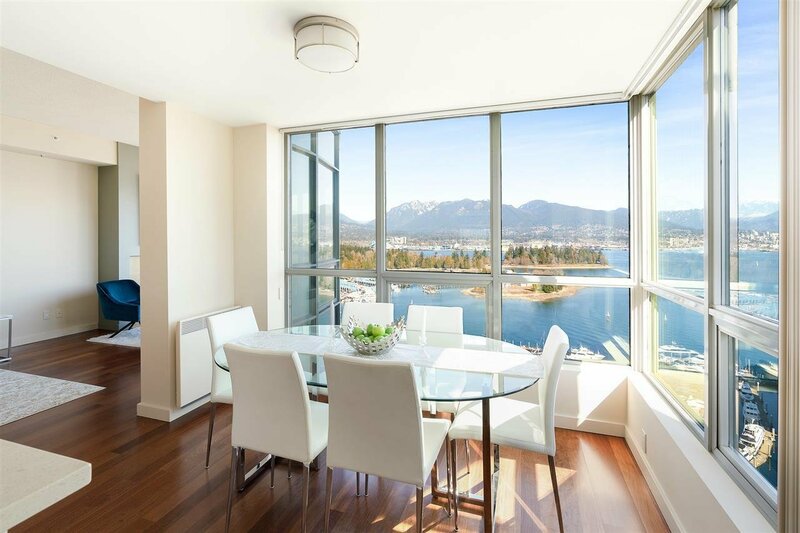 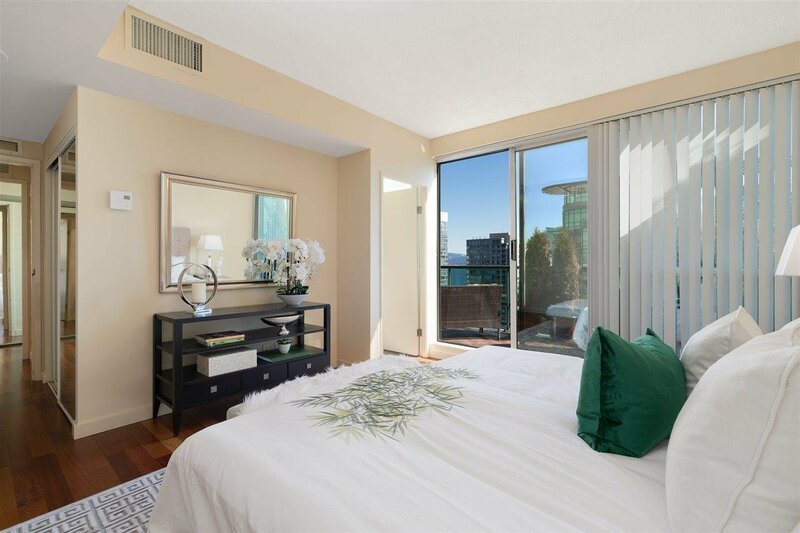 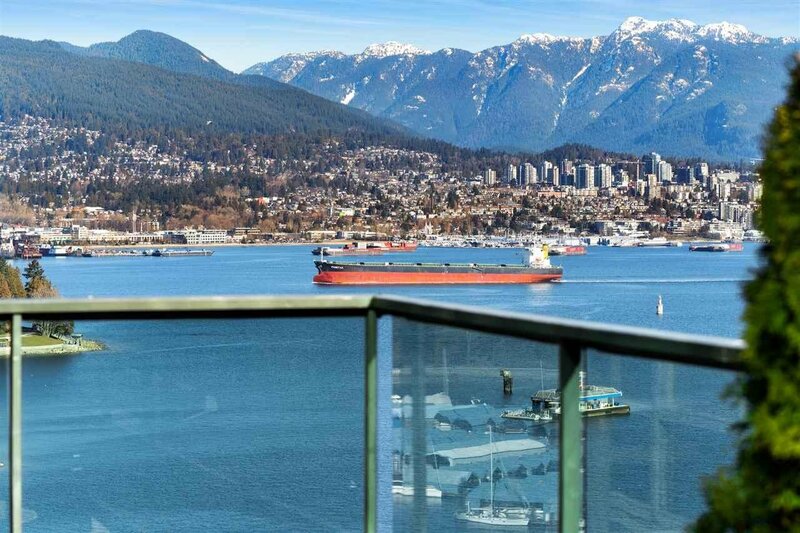 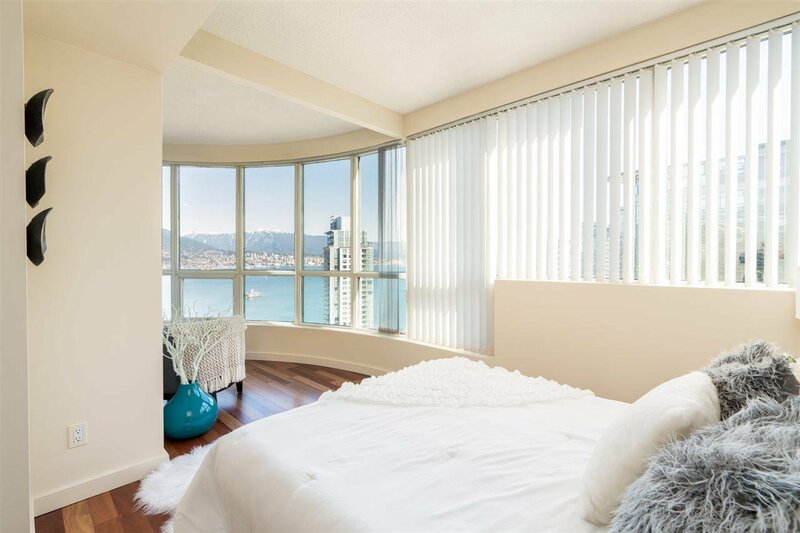 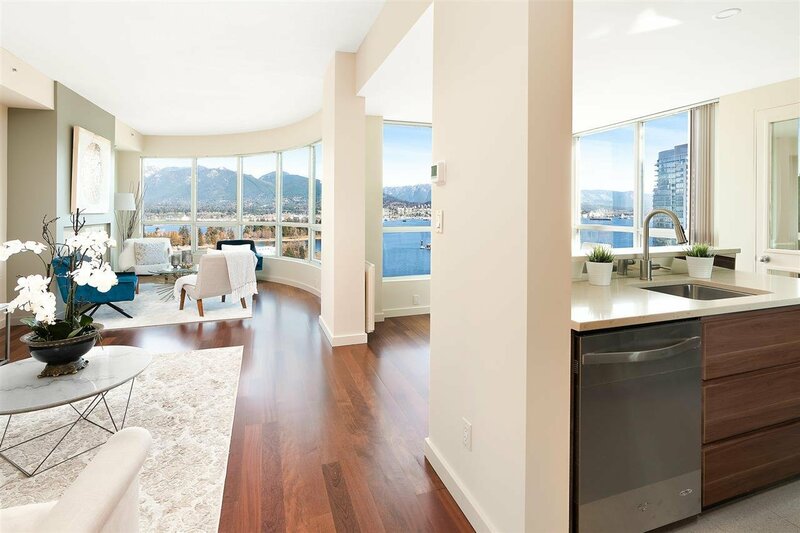 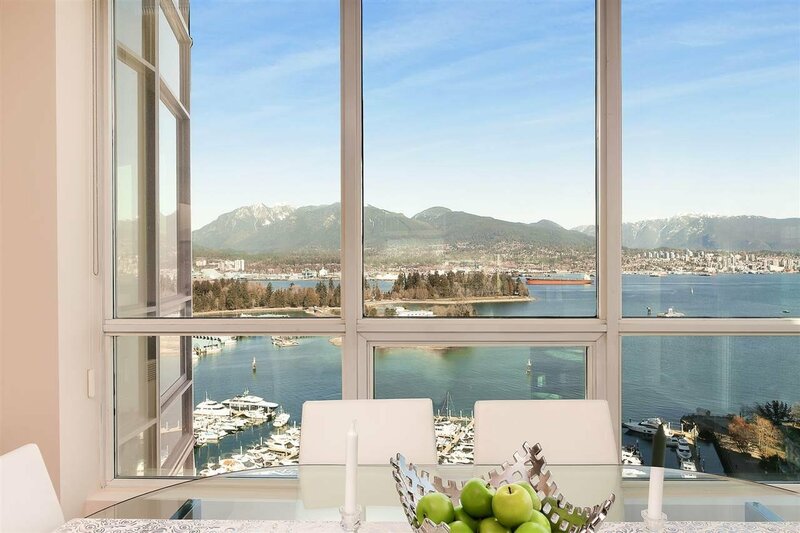 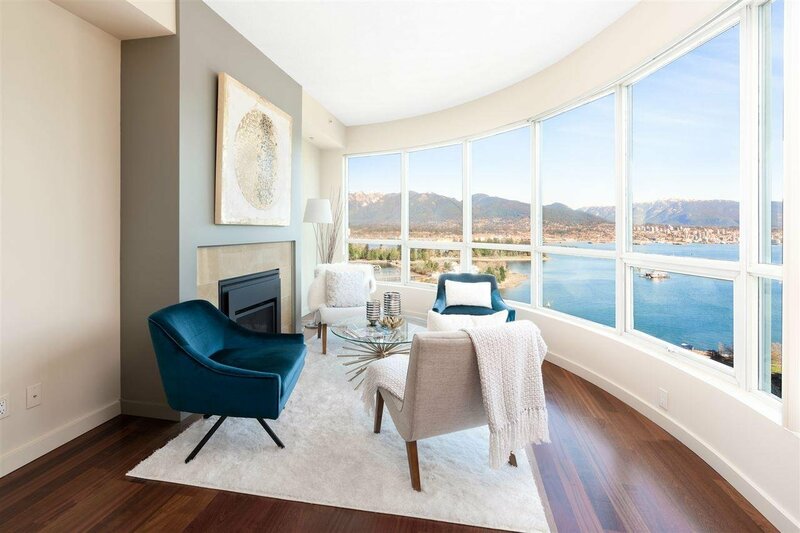 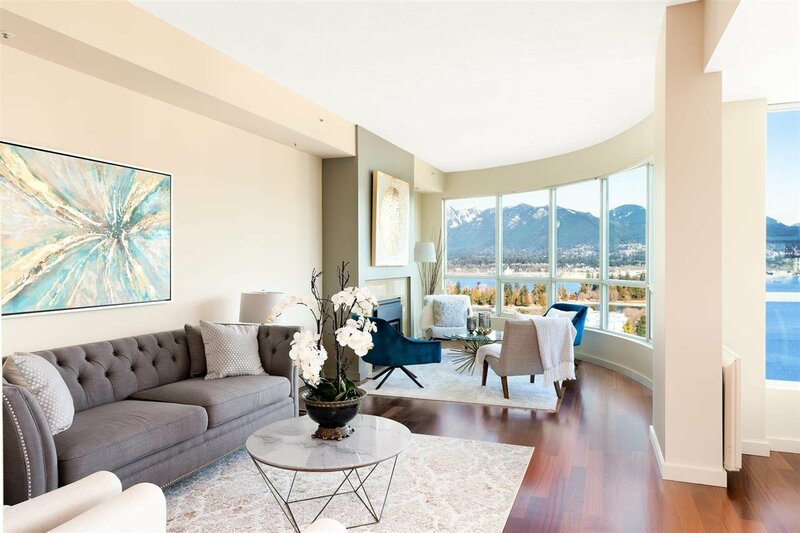 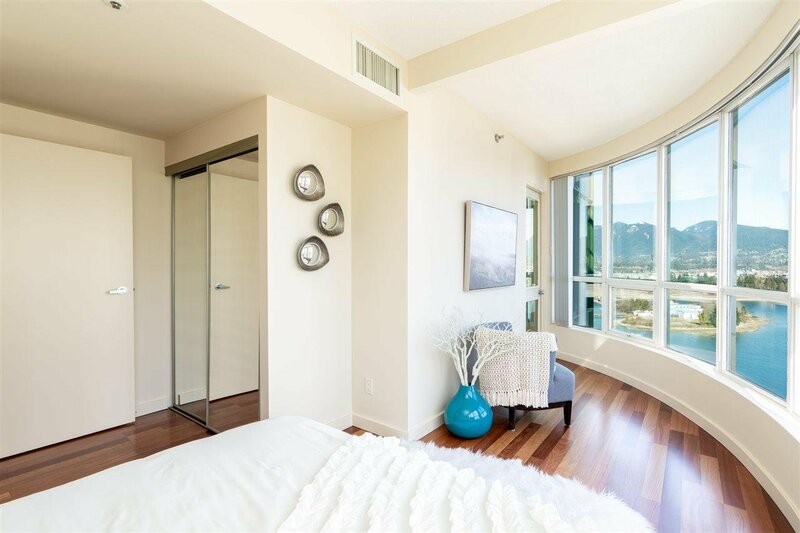 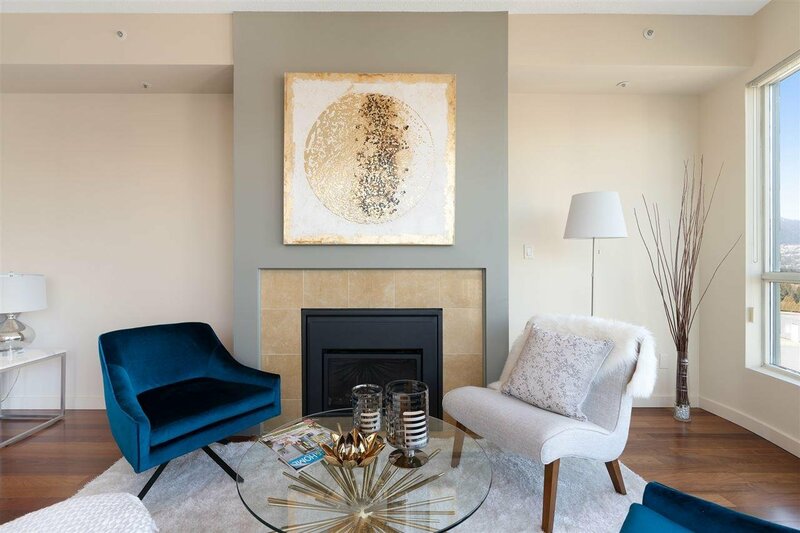 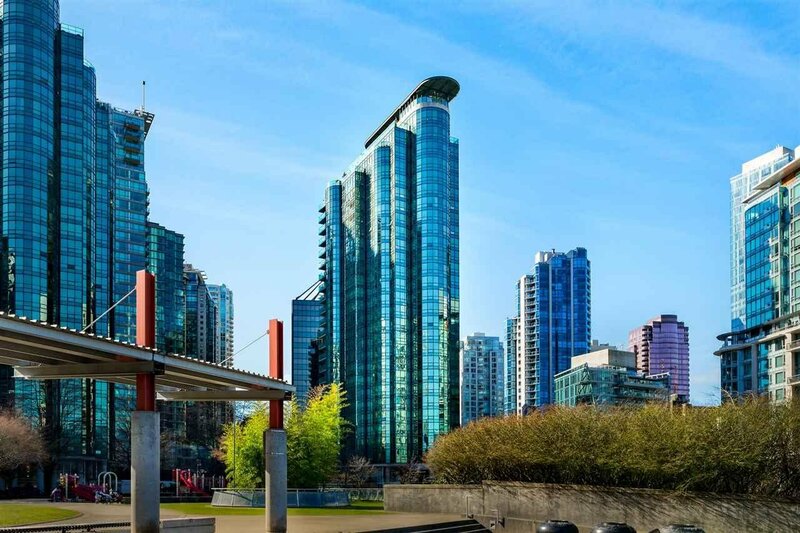 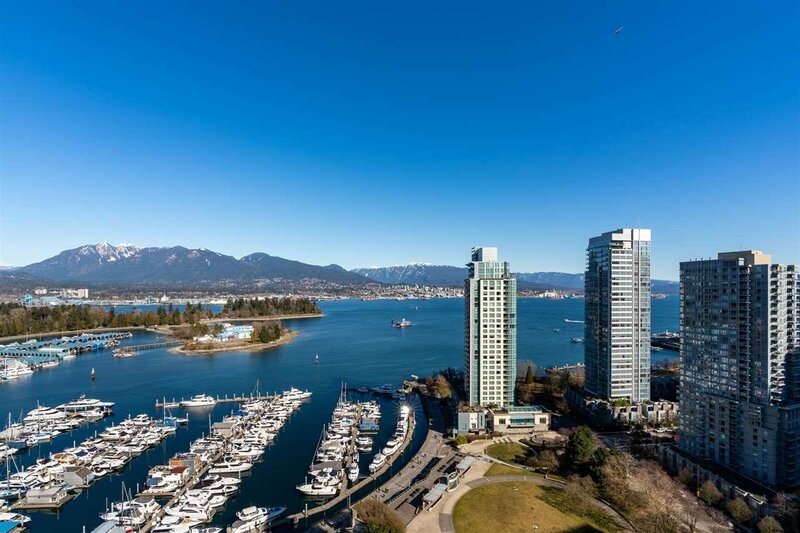 Spectacular panoramic waterfront views of harbour, marina and cruise ships and breathtaking views of the mountains and park make this newly renovated Harbourside sub penthouse very special. 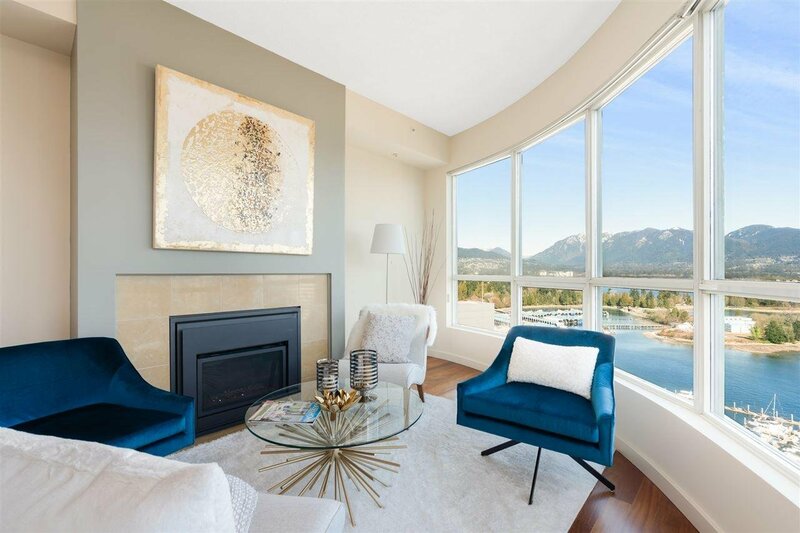 Entertainment- sized living room with high PH ceiling, expansive windows to enjoy the magnificent views, expensive Brazilian hardwood floors, AC and gas fireplace make it impressive. 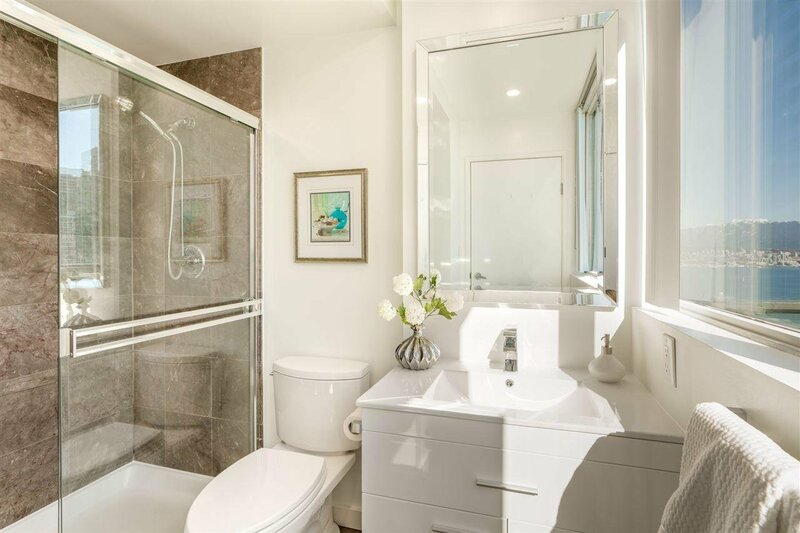 There are two bedrooms with romantic views, two full bathrooms, an office with storage which can be converted into a library or room with bunk beds. 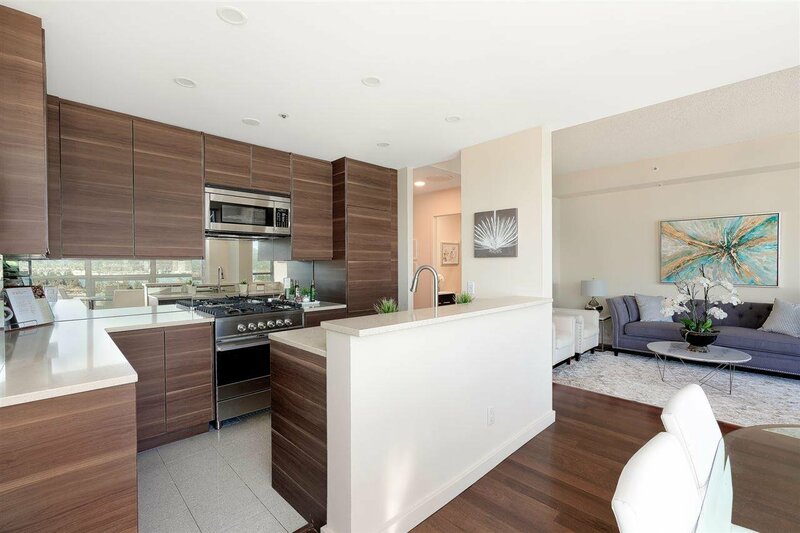 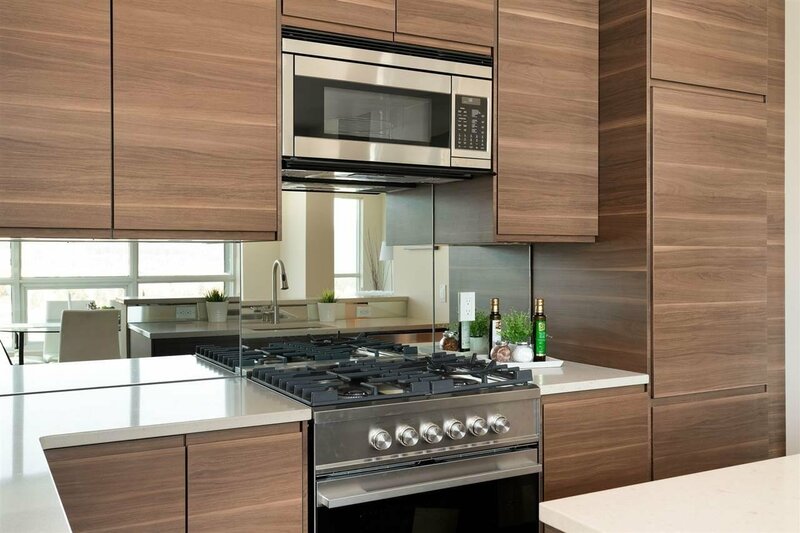 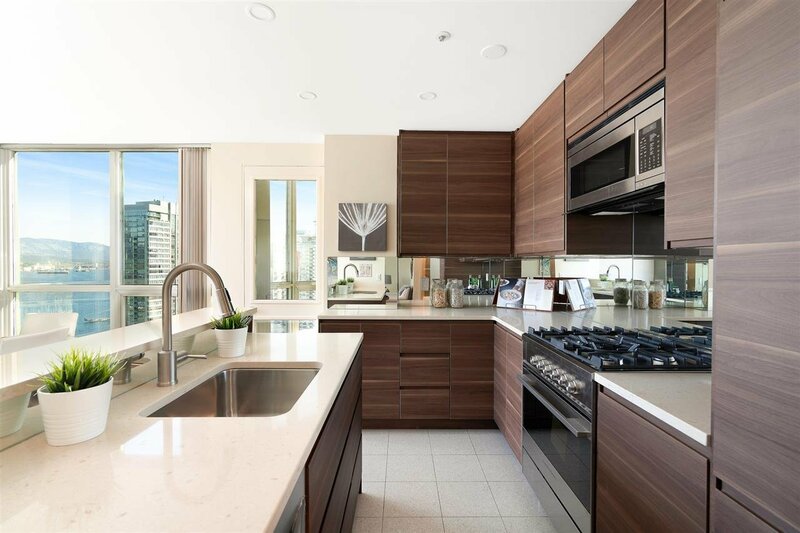 Stylish kitchen has custom cupboards, quartz counters, upscale appliances plus dazzling views and dining space for 8. 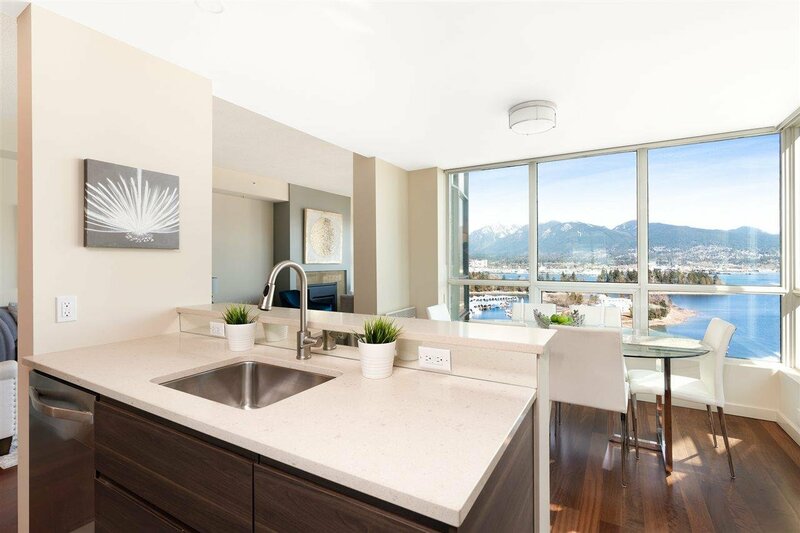 A spacious sub penthouse balcony is another place for entertaining or gardening while you enjoy stunning views.